Dogecoin (DOGE) The fast and low cost charity coin. What is Dogecoin? 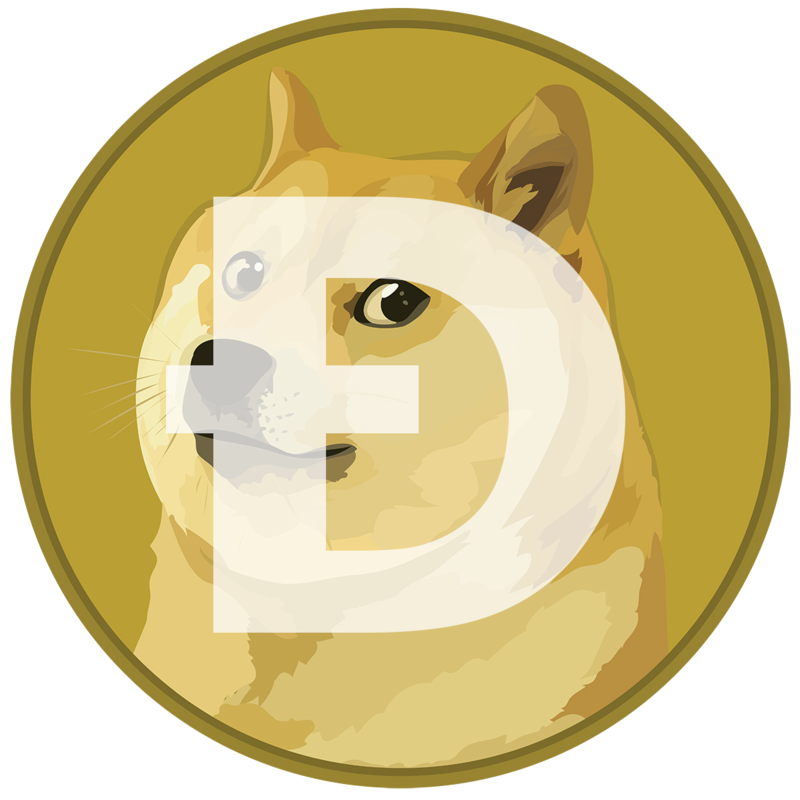 Dogecoin was created in December 2013 as a satirical coin in response to some of the ridiculous Altcoins that were entering the crypto market at the time. Dogecoin’s creators named the coin after the famous Shiba-Inu dog ‘Doge’ meme that was circulating the world at the time. Despite being a joke, Dogecoin was created with serious technology beneath it as it is a fork of Litecoin which is based on the Bitcoin source code. It has since grown to be one of the most liquid cryptocurrencies that has ever existed, with a devout and friendly community who champion the spirit of Kabosu, the Shiba-Inu mascot of the Doge. It is faster and has lower transaction fees than Bitcoin and Litecoin. It has a high trading volume. It is considered the gateway for newcomers to crypto due to its user-friendliness. It has an infinite supply that keeps the price relatively stable which lowers transactions fees, as well as making it useful for traders who are seeking arbitrage opportunities in the market. Due to its low transaction fees and high liquidity, many traders sell their Bitcoin into Dogecoin to exchange their crypto for FIAT currency. It is used in many internet forums such as Reddit and Twitter to tip content creators and send micropayments to recipients. The Scrypt Algorithm is the protocol used on the Doge blockchain for miners to process transactions and build blocks. The nature of Scrypt helps to produce faster transaction speeds and is generally more accessible to new miners. Scrypt is the same algorithm that Litecoin uses to increase its speed. Blocks on the Dogecoin blockchain are closed every 1 minute. This further increases its speed especially compared to the Bitcoin network with blocks closing every 10 minutes. This feature means that Dogecoin can process nine times as many transactions as Bitcoin every 10 minutes. With faster block times, Dogecoin is very secure against double spending attacks as attackers only have a 1-minute opportunity to attack at any given time. Billy Markus is a co-founder and programmer of Dogecoin. Markus wanted to create a friendly cryptocurrency that distanced itself from other coins with controversial histories of drug trafficking and other nefarious purposes. Jackson Palmer is the other co-founder of Dogecoin and the marketing arm behind the coin who had worked for Adobe. Palmer made a joking tweet about ‘Dogecoin’ and bought the domain dogecoin.com after receiving encouragement on the idea. Billy Markus came across the website on a forum and reached out to Palmer to build the tech beneath the coin. The Dogecoin foundation is a not-for-profit organization created by the Dogecoin community to promote and use Dogecoin for goodwill and charity. Doge4Water is a charity fundraising initiative that was started by the Dogecoin foundation in 2014 that raised $30,000 to fund clean water projects in Kenya. In 2014 The Dogecoin foundation raised $20,000 for the Jamaican bobsled team to compete in the Sochi Winter Olympics. The dogecoin community raised $55,000 Dogecoin in 2014 to sponsor NASCAR driver Josh Wise, and Kabosu, the famous Doge Shiba-Inu was painted on the Wise’s car as a result. It has fast transaction speeds, low transaction fees, and is very secure due to the Scrypt algorithm and 1-minute block times. Although it’s infinite supply may seem negative from an investment perspective, it was made intentionally to keep the Dogecoin price down for easier microtransactions, low transactions fees, and for much easier usability for customers, merchants, and traders. Traders often use Dogecoin as a utility to keep their funds safe while they seek arbitrage opportunities on other coins. As it has low transaction fees, when many traders want to turn their crypto into FIAT they use Dogecoin for the exchange. It has high liquidity and experiences constant volume as it is used regularly by its community, traders, and merchants. It is accepted by many merchants and is available on many exchanges. Most notably it has a massive community behind it who use the coin regularly, and are famous for being friendly and welcoming to any crypto newbies. As it is so similar to Bitcoin and Litecoin it can adopt any upgrades that are found to work on both networks. As it has an infinite supply which stabilises the price it isn’t often seen as profitable for investors and miners compared to other cryptos. Further upgrades and tweaks by the core development team to stay up to date but not much else apart from that. Dogecoin may have started as just a fun project, but it’s certainly been far from a joke when it comes to being a much loved, and much used cryptocurrency that has a rich charitable history and is widely accepted by merchants and exchanges. Technically it isn’t a joke either, with faster speeds and lower transaction fees than both Bitcoin and Litecoin, Dogecoin has become one of the most effective spending cryptocurrencies in the history of crypto. Although it may not be the most attractive coin from an investors perspective due to its infinite supply, there is is no doubt that its massive friendly community, confused looking dog, and ‘much wow’ has made Dogecoin one of the most highly valued and longest lasting cryptocurrencies to date. The current Dogecoin price, market cap and charts. Bitcoin (BTC) – The worlds first decentralised cryptocurrency. Litecoin (LTC) – A decentralised cryptocurrency built for speed. Monero (XMR) – A decentralised cryptocurrency built for privacy. Dash (DASH) – Decentralised digital cash with privacy options.